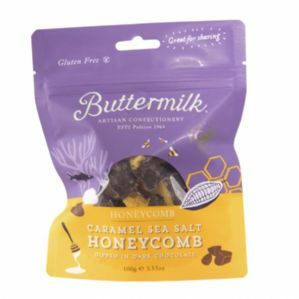 Caramel sea salt honeycomb dipped in dark chocolate (56% cocoa solids). handmade in Cornwall. contains milk and nut traces.